Voted the ‘Best New Festival 2011’ and described by the Guardian as “a place where art, intellectualism and fantastic gastronomy share equal billing with music,” the Shoryu wagon team are reportedly “proper stoked” to be heading to this year’s Wilderness Festival, headlined by Icelandic superstar Björk. They’ll be selling their epic signature ‘Ganso’ tonkotsu ramen and soft, squishy, pillowy steamed buns with mouthwatering fillings for hungry revellers, day and night. 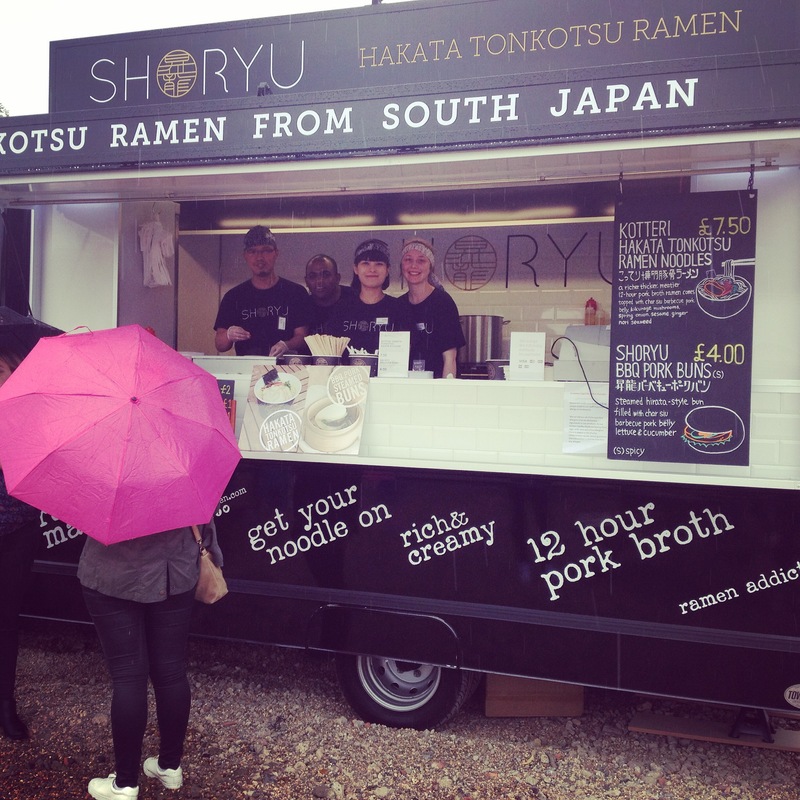 The Shoryu Ramen wagon team will also be bringing their authentic, Hakata tonkotsu to Foodies Festival in Oxford on 29th, 30th & 31st August. This huge celebration of food & drink sees top chefs and food stalls spanning ‘best of British’ to international cuisine. The team already made an appearance at Foodies Festival at Clapham Common and had a cracking time, though hopefully August will bring some more sunshine! 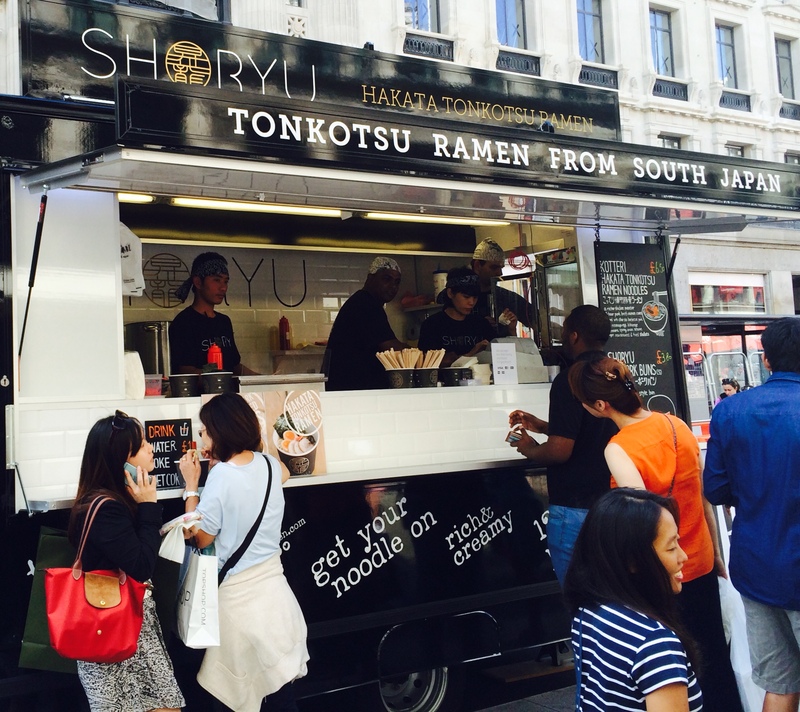 We’d love to know, where would you like to see the Shoryu Ramen wagon? Manchester? Liverpool? THE MOON? These guys love an adventure almost as much as they love ramen, and will be happy to consider all suggestions! Let us know here on the blog or on Facebook, Twitter or Instagram. Posted in Shoryu and tagged Shoryu ramen, Shoryu Wagon, tonkotsu ramen. Bookmark the permalink.